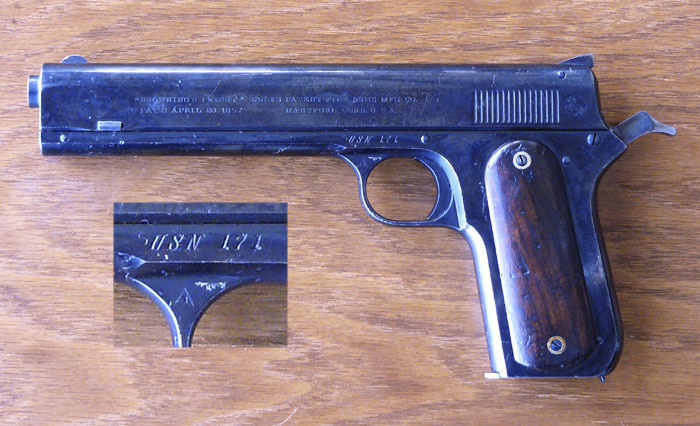 This pistol is from the U.S. Navy purchase. It has all the original features, including the sight safety, rear slide serrations, and smooth wooden grips. Special serial numbers with the USN prefix were stamped on the left side, from 1 through 250. From the Gus Cargile collection.